The controversial talk show host Dr Laura Schlessinger plans to get out of radio. She recently came under attack for using the “N” word to a caller 11 times last week in an on-air conversation. She accused her African American caller, who was married to a white man, of being too sensitive to racism. Then after the public became enraged, Dr Laura apologized. Now it looks like she won’t be renewing her contract. Dr Laura claims she won’t be retiring and believes even more strongly that she wants to say what is needed to be said in America. “I want to be able to say what’s on my mind and in my heart and what I think is helpful and useful without somebody getting angry — some special interest group deciding this is a time to silence a voice of dissent and attack affiliates and sponsors,” she said. “To imagine that there are people who refuse to accept an apology because they have an agenda and would like me silenced — I’m done with that,” she said. Using the “N” word? How could she possibly think that this would be okay in today’s world? She obviously doesn’t empathize with the struggles of African Americans in our country, past and present. At 62 years of age, she’s old enough to remember the civil rights violence. Methinks she’s just a little too white to know. Shame on you, Dr Laura! Both General Motors and Matel, sponsors of her radio program, have pulled the plug on their advertising. 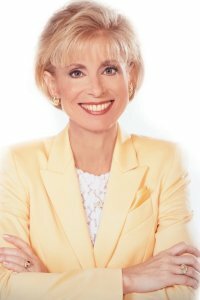 In 2000, Schlessinger’s negative comments about homosexuality on her television show were the subject of controversy and put the gay community up in arms.